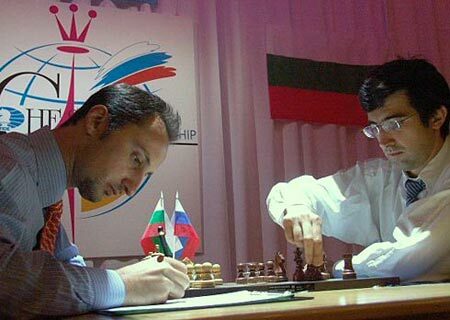 10.09.06 Veselin Topalov, playing the white pieces in Game 9, overpowered Vladimir Kramnik to post his second straight win and take the lead for the first time in this World Chess Championship Match with three games to go. 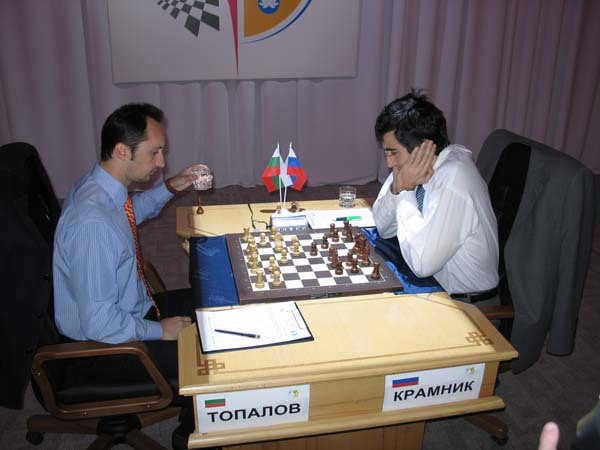 The game began as another Slav, this time it was Kramnik who was the first to deviate from Game 7 by playing 4. ...Bf5 rather than 4. ...e6. 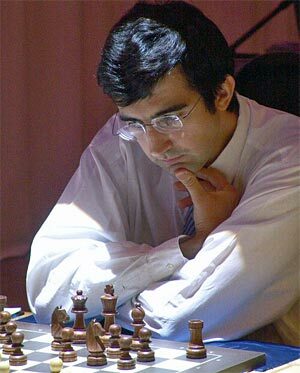 Kramnik now finds himself trailing by one point going into Game 10. LIVE Game Link. Watch Game 11 on Tuesday, October 10 at 7:00 a.m. Eastern. See REVISED full match schedule below. 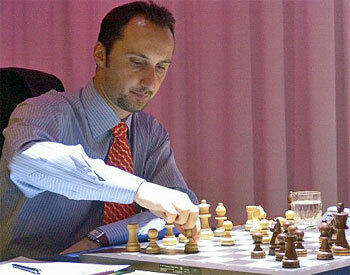 Topalov plays 9. g3 in Round 9.